Tomasz Bielecki, in his article in Gazeta Wyborcza about the French court’s decision to extradite Ablyazov, compared the Kazakh to Khodorkovsky. Bielecki pointed to appeals from Amnesty International, who has been calling for the extradition to be blocked, due to the risk that Russia may turn Ablyazov over to Kazakh authorities. Gazeta Wyborcza quotes Julie Hall of Amnesty International: “Not only do we have fears that Ablyazov would not get a fair trial in Russia or Ukraine, there is a real danger that he will eventually end up in Kazakhstan, where he will be at risk of torture and other ill-treatment”. 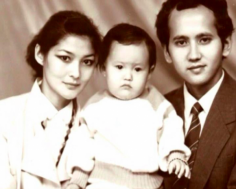 In his article the journalist also refers to the cases of Ablyazov’s former associate - Alexander Pavlov - persecuted by the Kazakh regime, and illegal deportation of Alma Shalabayeva from Italy to Kazakhstan.